iPad Giveaway! Bloggers Sign Up Now! If you sign up, let them know I sent you. So glad it is the weekend! Can I get an Amen please? Very rough week around these parts. I hate to whine but will. Sick. Work. Too much for me. Crawling back into my warm bed. Dishes. Laundry. Will have to wait. This momma needs some more rest. Six Word Saturday. Fun to play. Join us. Link up at Cates. A couple funnies for you. I know that is not the *family friendliest* but this was me this week (at work). Yeah, definetly not me today. Honey, take me out to dinner please and ohh hire a maid. small child in a week at least. What are you doing today friends? 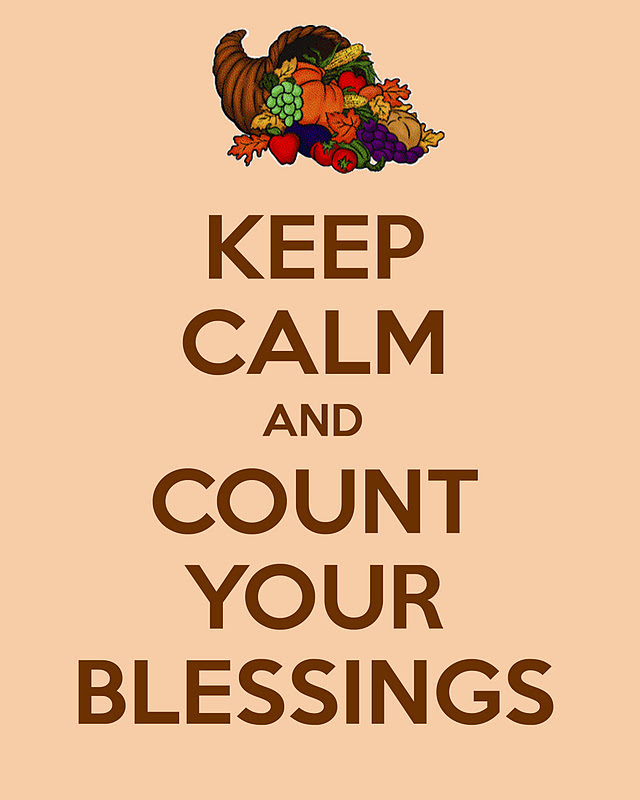 Taking time to count your blessings is well worth the effort. also helps you control your temper. riled up even when they had good reason to. So stop and smell those roses. Every now and again I write a post about things that I love. It could be products, people. songs, recipes, etc...I am thinking I might make this a weekly post and hoping that maybe you will join in on the fun. What do you think about making it a link up blog hop? You can share what ever YOU ARE LOVIN' at the moment (or can be an older blog post) and the blog post does not have to be titled What I'm Lovin'. I would make it real simple with the only rule being that the post you link up is family friendly. It can even be a product review or giveaways because obviously you are lovin' those if you have them on your blog. Maybe? Would you link up? Leave me a comment if you would so I can gauge the interest. I know there are lots of blog hops out there but most have so many rules, I want to make it easy for you to share something you love and show some love to others while you are at it. Ok, so I guess I do have another rule and that is, to comment on other blogs and make it personal, not generic. Really read what the writer is saying. If you come across a blog that you just don't connect with, that is ok, move onto the next one. I Am Lovin' me some fresh garlic. 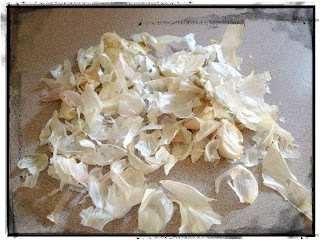 I *heart* garlic. I roasted up some of these bad boys and tossed them in with some butter and fresh green beans on Sunday for some Garlic Sauteed Green Beans. I also used some in my Progresso Beef Stroganoff. I can eat garlic in just about anything and often times do. No chance of being attacked by a vampire in this house. Bagels with "what some people would call weird cream cheese spreads". 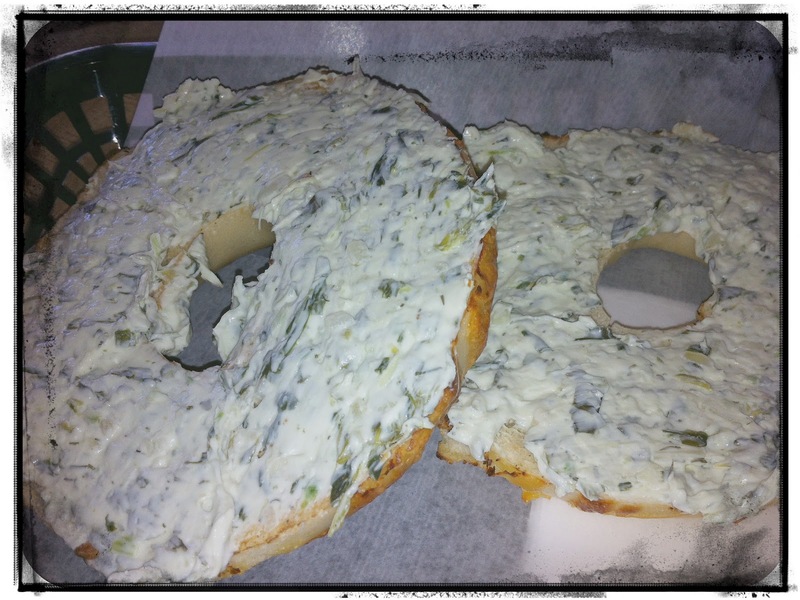 This is a bagel from Jazzy Bagels with a Spinach Spread. Ohh soo good. And they don't stop there. Cilantro, Walnut Raisin, Garlic, Veggie, Jalapeno, Wild Berry.....And their bagels are pretty darn good, too. They have 19 different kinds to choose from made fresh daily. The dozen red roses my husband brought home for me this weekend, just because. I am not much of a flower person (they just die) but it is nice to occasionally receive them unexpectedly. Thank you, honey! Alright, that is enough for this week. What are you lovin and will you link up? Let me know. Disclosure: No compensation was made for the mention of Jazzy Bagels or Magic Eraser. Jazzy Bagels is a local restaurant that I enjoy. 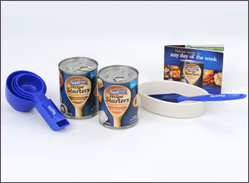 Progresso provided me with a product gift pack for a review of their new product however the actual review is within a different blog post. It's Tuesday! Monday has left the building! Debbie, Author of Wrinkled Mommy. are having a parrrrty! That is how we roll. Link up a favorite post to the Archive Link Up Party. Every post deserves a second chance to get noticed. Make sure you share the love and check out some other awesome blog posts and comment, too! Yes, I know it is Tuesday (by the time you probably read this). Always a day late and a dollar short. MY.LIFE.STORY. This week here is what is on my cooking agenda. As always, keeping it simple is my motto. There you have it. And this week I incorporated a tad bit of meat back into our meal plans although I am still not eating most of it. I am linking my menu plan up with I'm An Organized Junkie. Ha! Who am I kidding, it is hectic *most* of the time. Because of that, I typically try and keep my menu plans simple which isn't always the easiest when you have several different taste buds and want to make sure you are feeding your family healthy (ier) meals (and not having to be a short order cook to boot). 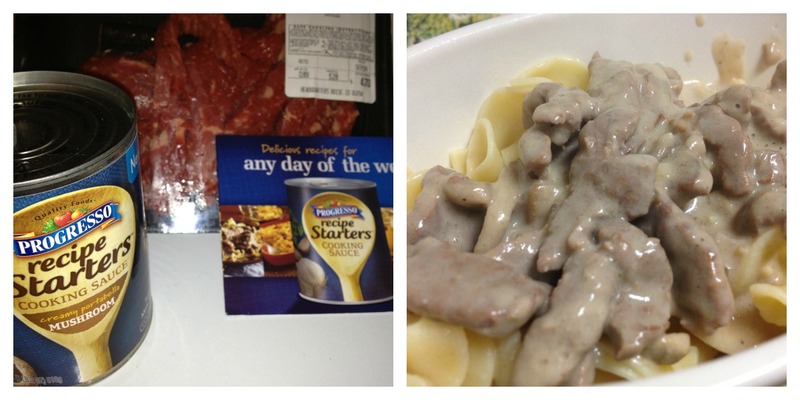 I made Beef Stroganoff with the Creamy Portobello Mushroom Recipe Starter. It turned out creamy and much more flavorful than I anticipated. I decided not to use the extra sour cream that the recipe called for because to me the consistency with the recipe starter was just perfect. I did however add some extra mushrooms because we (meaning I) like mushrooms and since I didn't eat the meat, I wanted some extra veggies. Right now, if you visit Progresso you can download a printable coupon for $.65 off the purchase of 1 can of Progresso® Recipe Starters Cooking Sauce. Disclosure: The information, products and ProgressoTM Recipe StartersTM gift packs were provided by Progresso through MyBlogSpark. So what would you do with a thousand dollars if you win, tell us your plan :)? I could think of a 1000 things I would do with $1000.00 bucks. Christmas is coming up quickly! Entries will be verified so please don’t cheat, it’s a waste of time. Disclaimer: This blog is not responsible for shipment of prize, nor did I accept any form of payment to promote this event. All entries will be verified. It's about time. The season is upon us whether we want to admit it or not. It is obvious. Christmas stuff is already going up in our local stores and it seems like every year it is sooner than last. I know I probably say that every year but really school supplies out Christmas decor in. Just like that. Have you thought about your Christmas list yet? Have you thought about how you are going to pay for your holiday gifts? Have you thought about free layaway? It is perfect for those that need to spread out the costs of Christmas shopping but without paying high interest on a credit card. It is essentially paying cash for your gifts but with a little twist . Shop now, pay the balance off over a couple months period. And right now is the pefect time to layway items because Kmart's Big Layaway Giveaway is happening at your local Kmart. Kmart wants one of you to WIN your layaway. Each week from 9/9/12-11/17/12 every store is giving away ONE layaway to that ONE lucky person. Are you feeling lucky? Imagine going shopping, putting all your Christmas gifts on layaway and then winning the items through the giveaway. How exciting would that be? An early Christmas present for YOU! But hey, even if you don't win the giveaway, Kmarts layaway has no service fee, offers tons of different merchandise from jewelery, clothes, all the way up to the more spendier items: electronics and offers several different contracts to meet your financial needs (unlike the other guys). So I know what I am doing soon. I am going to get my shopping on! And hopefully win my layaway! Maybe some electronics for the boys? I might even throw a few things in the layaway for me, just in case by pure luck, I win. I know it is not very glamourous but I have been coveting a particular bed comforter at Kmart. No purchase necessary. Kmart Big Layaway Giveaway ends 11/17/12. For official rules visit a participating Kmart location OR www.kmart.com/layaway. We will be heading down to Rancho de los Ninos at the end of April. April 24, 2013-April 29, 2013 to be exact. There will be lots of projects (of a to be determined nature) that we will be completing while we are there but we will also be working directly with the children quite a bit too. I am beyond thrilled about that part! Rancho de los Ninos is an orphanage for the *less desirable* children and it pains me to type that....I honestly can not see how someone would think one child was less desirable than any other. BREAKS.MY.HEART! Thank goodness for people like Rick and Janet Norquist (and Carol & Ed Barker) who had a vision and did something to help these children in El Castillo, Senora, Mexico. Back in 2004 they started Rancho De Lost Ninos, turning a chicken coop into dormitories to house work crews and turning the pig farm property into an orphanage by adding onto the existing house. ...They have 18 children, ages 6 years to 22 years. They are one of several orphanages in the Mazatlan area, but the only one to provide care for children with disabilities including cerebral palsy, Down syndrome and other developmental delays. - Finding permanent homes for them in Mexico. -When these options are not possible, we look for adoptive homes in the US. I am so excited about this opportunity to serve others especially the children. As time moves forward I will be updating periodically about the trip and then of course while I am on the trip, I will blog if possible. If not while I am there, I will make sure to share the experience with you when I return. Keep coming back for updates. I *may* be doing a fundraiser as we get closer to help cover some of the expense and although some may not *agree* with that, that is ok. If you have been reading my blog for any length of time, you will know that I did a similar *donation* request for my trip to Africa last year and some readers apparently thought that was wrong. My take on it was, if you don't want to donate, then don't. No pressure. And if you don't like that I ask for donations, that is ok, too. If that turns you away from my blog, I am sorry. Helping others in any capacity I can, is a passion of mine. And most of the time it is on a good portion of my own families dime and I am not telling you that for kudos or anything but rather to point out that with or without donations, I will go on the mission trip.... I have readers that are equally as passionate about giving and helping others and if they want to help support me in this mission, I appreciate it wholeheartedly. I *may* even do a fundraiser for not only my own expenses but also directly to support the orphanage. You can actually do that now here, if you are so inclined. If you do go this route, will you please let them know I sent you there. Between working full time, taxing children to/from sports, church activities, household chores, etc…sometimes time is just scarce. That being the case this past weekend and knowing that the week was not going to bring any reprieve, I broke down and did it. If you read my MPM post this week, you know that I had our weekly groceries delivered! Yup! You heard it right. DELIVERED. And let me tell you, I will DO IT again. That is how simple and easy it was. AND, wait for it, I stayed way within my budget because no impulse purchases. AND, there is more….I ordered them Sunday night on my computer, in the comfort of my own home, while the kids were sound asleep. Zero, ziltch, nada, none of that! I had our groceries delivered Tuesday when I knew my husband was going to be home to meet the delivery guy and therefore I didn’t even have to put them away. It was as if the grocery fairy flew in and food appeared in my cupboards and refridgerator. So, so nice. So if you have a store that delivers in your area and you are a mom of a few or several small children, I say just DO IT. At least try it. Most of the time the stores have free delivery for first time users and then after that it is based on the amount you spend. Even if you do have to pay for delivery, what is the cost of your sanity? And you can even (in most cases) use the store discount/rewards cards and receive the discounts on the products just like you were at the store. Unless you need the food immediately…Order and deliver. Simple as that. **This was not a paid endorsement for grocery delivery. This post is based on my own experience and opinions. 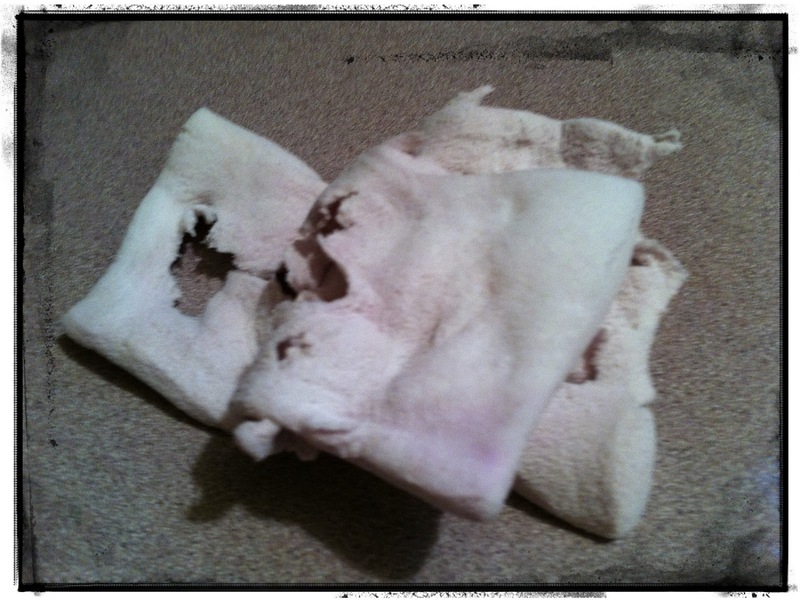 After months of vacuuming out the car as often as I change my underpants (if you were wondering that would be daily) I decided to impose a new rule. The littles were no longer going to eat ANYTHING in the car. Such a grand idea....too bad that I couldn't really pull it off between trips to the football field, to the grocery store, to the church meeting, etc....Lots of time is spent driving here and there so it was bound to happen....them eating something in the car at some point....again. And last week it came to a head. I bribed the youngest with a small bag of Cheese Its while we were at the store. 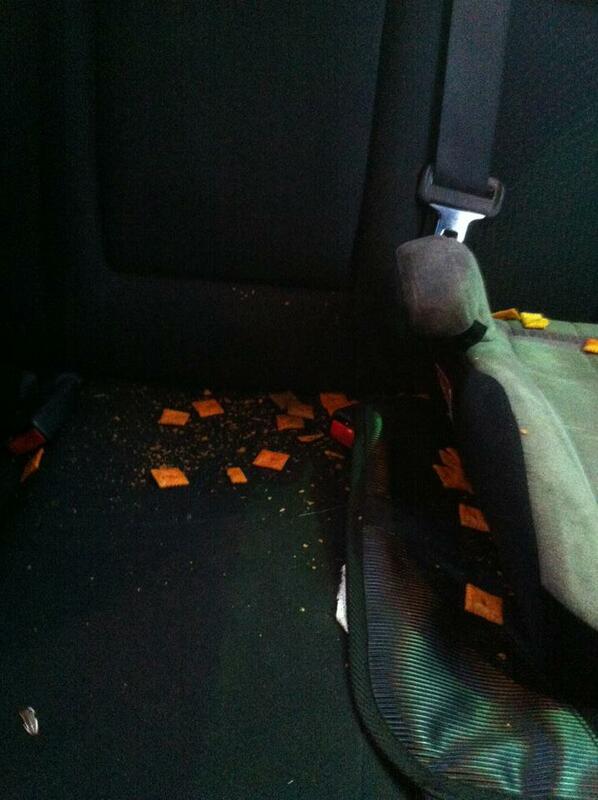 And needless to say, most if not all of the Cheese Its ended up in the back seat of the car, on the nicely vacuumed black upholstery, in her car seat, on the floor. EVERYWHERE but in her mouth and tummy. And this was actually just part of the mess. I couldn't get all of it in my view to take a picture...but you get the point. We made it through Monday, a little scratched up a bit, but we made it, right? And now it is time for the Archive Link Up Party because every posts deserves a second chance. Do you have a favorite post that you want to share again? Then now is your time to link up. And make sure to check out some of the other posts. Want to be one of the hosts of the Archive Link Up Party? Know of someone who does? Let me know. We are looking for a few more fabulous bloggers to share the wealth with. So what are you waiting for? Link up and get hopping. And remember we don't mind at all if you leave a comment or two (or three, or four). It is an easy menu plan this week. Too many things in the evenings going on. Have to keep it simple. Did I tell you I grocery shopped online and had my groceries delivered? Yep, sure did. And it was easy peasy! I will share more on another post. *It is suppose to be 90 today so keeping the stove/oven for the least amount of time possible. What are you cooking for your family this week? 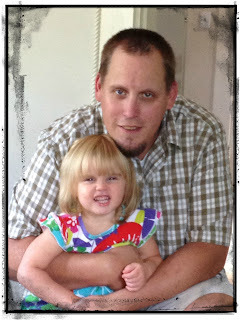 I am linking up with I'm An Organizing Junkie. Does this look like your house on Sunday morning? It sure looks similar to ours. We might not have it all together but together we have it ALL. Happy Sunday! Life is but a fleeting moment. 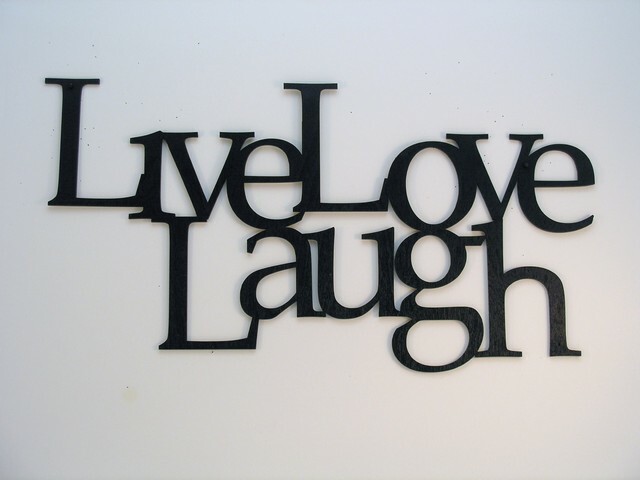 Live life to the fullest TODAY because you are not promised a TOMORROW. I attended a Celebration of Life yesterday of a dear friends wife. Although, I didn't know her personally, I knew of her and I know her husband. They come from good soil. They are both giving souls. Cancer got the best of her in the end but not her best years. She is leaving a legacy that was clearly evident at her celebration of life. What is the legacy you want to leave behind? Play along with 6WS at Cate's place Showmyface. I hardly know what to say. I am in of AWE of you, all that you do for me and my family. You have blessed me and continue to bless me a thousand times over. Sometimes I feel like I don’t deserve it, you, your blessings and mercy. I fall down, you pick me up and brush me off. I cry, you console and dry my tears. I sin, you forgive. I am thirsty, you provide water. I am hungry, you provide the means for food. I am cold, you provide the means for clothing, for shelter. I am sick, you heal. The blessings are always in abundance for my family and I and so I often question, why? What makes us so special and not others? Why do we deserve your mercy and grace? There are so many others, equally deserving, yet they suffer daily. Wait don’t answer that. I think I know the answer. You have given us the abundance so we can give to others the first fruits of our labor and I pray that we are doing right by you. I want to share the gospel through our acts of sponsoring children that are less fortunate. To be the guiding light for them when all hope is lost. The children in Ethiopia , Burkena Faso, Thailand. They are all just as important as our own children. I continue to pray daily that you will help us find more sponsors for these children. I pray that someone will see their picture, read their story and be challenged to help them. Help give them a life that they only dreamed of and break the cycle of poverty. Change their lives FOREVER. Change your life FOREVER. I am participating in Blog Month for Compassion in an attempt to change the lives of 3,108 precious children (and then some ) in 30 days. I am participating in Blog Month for Compassion in an attempt to change the lives of 3,108 precious children (and then some ) in 30 days by finding them sponsor families. Good morning. Are you ready for another addition of the Archive Link Up? Let's do this! In memory of those loved and lost on 9/11/01, do you you have a post in memory of a loved one or about 9/11 that you would like to share? If not, that is ok, just link up another post you think is equally deserving. And then check out some of the others that have joined the party. Hope you make it a GREAT day. Kaylyn has decided it was time to potty train, herself. We had been working on it off and on for the last couple months but between yesterday and today, it is really ON. Now don't get me wrong this is great and all but (see title of post). Between her pooping all over the bathroom, when I was giving her some space and then our kitties deciding to poop somewhere (unknown to me) but where the kids had access to, I have literally been cleaning up poo all afternoon. Isn't potty training fun? And baby kitties,too? Yes, maybe I forgot to mention our Bella that we actually thought was a male (after we had already called her Bella for quite a while) was in fact female and came up pregnant a few days after we moved in May. And thus we had a litter of kittens in early August. They are the cutest little things and as soon as we can get Bella spade we will do the responsible thing and do so. And as soon as the kitties are weaned, we will do the responsible thing and find them good homes. But in the meantime, I will have to box train them because it is bad enough that I have to clean up toddler poo, but I am NOT, I repeat NOT going to continue to clean up kitty poo, too. That is why our Bella and Ellie are both outdoor cats now. I loathe cat boxes. So how was your Friday? 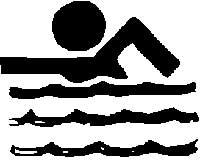 Are you swimming in poo? Or just swimming in a pool? Wish I was (swimming in a pool not poo) because it was almost 90 here today, which is very unusual for us this time of year. It's Friday! Whoo-hoo. What better way to get this party started than to clear the air and confess. 1. School started this week. So unorganized. Nuff said. 2. I had a complete kitchen FAIL last weekend, did you catch it? 3. No Menu Plan this week. Not even in my head! 4. I did not go grocery shopping this week. 5. Due to #3 & #4 , we ate out 2x! Not good, not good at all. 6. I JUST bought the little man a new back pack and new socks last night. (He started school on Wed). See his picture below. 7. I have been such a horrible blogger and blogging buddy these past couple weeks. I have barely blogged, read or commented on my favorite blogs. Sorry guys. Ok, I feel better. What about you? Do you have any confessions you would like to share. I promise it will lift a weight off your shoulders. Just let it all out. Things that many of us often times take for granted since it is readily available to most. Even the poorest of the poor in the US are still rich comparatively speaking to others in 3rd world countries such as Ethiopia, Kenya, Ghana….I have seen it first hand in traveling to Ethiopia this past winter. No fresh water. Only eating one meal a day, if that. Wearing the same clothing everyday. No shoes yet walking miles upon miles into town begging for anything. Education. They can only dream of. It is utterly heartbreaking. But I did something and YOU CAN, too. Break the cycle of poverty. CHANGE the life of a child. There are many children that need sponsors. Look at them, read about them, they are all deserving, but I know you will find one that fits your family perfectly. Make it a family event: choosing a child, writing the child, praying for the child. Our family now sponsors two girls Milli (10) and Maddie (7). I love receiving letters from them, pictures that they have drawn, updates from their pastors. It is a great feeling knowing that we are making a difference. Sponsor a child TODAY. $38.00 a month and you can change their LIFE.FOREVER. If you can’t sponsor a child now, will you at least take a look and pray for them. It only takes a second. Will you help me, help them? I am participating in Blog Month for Compassion in an attempt to change the lives of 3,108 precious children (and then some ) in 30 days. Although, I blog about Compassion regularly this month Compassion is upping the ante . Each week that we blog about Compassion we receive small incentives AND the blogger that garners the most sponsored children will be awarded a trip with Compassion to see the work first hand. This post brought to you by Buffalo Wild Wings. All opinions are 100% mine. It is THAT time around our house. The dreaded football season. In this house we eat, sleep and breath football from September until.....who knows when. Not my choice, but the boys, they LOVE it! I, on the other hand, can't understand it half the time. I just see a bunch of men, throwing a ball and wrestling on the ground to get it. LOL. And if watching football was not enough, we are playing it, too Tyler is the starter quarterback on his football team for the third year. Yup, this a football watching and playing household. And you what that means.....I am a football widow, often times. But not this year. If I can't beat'em I will just join'em, I decided. And what better way to do that than with Football and Wings at Buffalo Wild Wings. All you need to do to survive football season is to hang out out at B-dubs! Tons of tvs. Blaring the games in every nook and cranny. Something is sure to be on for every one. Food. Lots of food at a great price. And did I mention they have killer wings! And me, not having to cook dinner. Sign me up! What more can you ask for? Everyone is happy. That sounds like a great day/night in my book. And family friendly even, so we can bring the litle ones too! Are you still here? What are you waiting for? Get your favorite teams gear on and get out the door before you lose your favorite booth. Head to your nearest Buffalo Wild Wings for some good clean family fun this football season! He is walking next to you, carrying you, when you least expect it. Maybe when you don't think you deserve it. He is there. He is everywhere and knows all things. He is there for the smallest of victories and the most difficult seasons of life. He can move mountains and part seas. We just have to open our eyes and see, let him in. Have faith in him. Leave it all in his hands; he will not fail you. He knows what we need. When we need it. I had a FAIL in the kitchen. It happens (probably more often that I would like to admit or blog about for that matter). I tried my hand at making Kale Chips for the first time. They are all the rave so I thought I would jump on the bandwagon and try them myself. I followed a tried and true recipe to a T. To a T, I tell you and well, not sure what happened because they didn't turn out as intended. The smell in the house as they were cooking should have been my first clue. Didn't smell all that appetizing to me nor my husband who came in from the store while they were cooking and says, "What is that horrible smell?" And then when they were done, they tasted a bit sour and disintegrated quickly when I put them in my mouth. They weren't burnt though. I cooked them for the amount of time suggested and watched them carefully. The only thing I can think of is my Kale wasn't of very good quality and maybe I put to much olive oil on them. Who knows. I love store brand Kale Chips so I am certain I will *eventually* love home made Kale Chips. Do you make home made Kale Chips? What recipe do you use? Want some GREAT Kale recipes? I stumbled across this blog post at Lick My Spoon that had tons! We live a little bit out in the country. And ever since we moved here living with water from a well system rather than the city water, our water is hard. I knew it after the first couple times of taking a shower here. I got out of the shower and my skin was dry and my hair was crispy. I don't color my hair often but I could also tell after several showers/shampoos later, my hair color was dull and my hair was over all harder to manage. No matter how much product I used or how many times I curled it, I could no longer get it to "bounce". That is why when I was given the opportunity to use and review MALIBU Hard Water Hair Treatment, I jumped at the chance. It is as if the people at MALIBU knew I needed help. MALIBU Hard Water Treatment is a patented fresh-dried vitamin complex that dissolves into a gel and forms into a lather to use after your normal shampoo and condition. It removes the minerals and oxidizers, discoloration, from your water in order to brighten and increase the shine of your hair while helping prevent more damage to your hair from environmental elements in the air and water. Ever since using this product a few times my normal hair texture has returned. My hair has its body back rather than being flat and heavy like it had been. It is no longer dry and brittle. Imagine if I continue to use it regularly. You can use it daily, weekly or as often as you want or need to. It can be used for all ages and hair types. It is fragrance free, sulfate free, and preservative free. And 100% Vegan (which I like but not that I am going to eat it). It comes in small packages (.17 oz) for easy packing while you travel or putting up in your bathroom cabinet. For even better results, check out the other MALIBU Well Water Hard Water Hair Care Product Line.